Red Tiger Gaming is singing out with joy because it has brought this extravagant game to the online gaming industry market. Performers of the arts industry are invited to sing out their talent in this game that celebrates music and singing. The ludicrous theme aside, this game has the ability to pay out 1,000 x your original jackpot which will give you something to be happy about all the way to the bank! Further bonus features include instant wins and staked wilds. There are further benefits in the bonus rounds such as mega tiles, nudges and magic reels which all do a lucrative job of improving your chances of taking home a big win! The theme here is a celebration of performers and this is celebrated in a festival look, portraying music and glitter throughout the background. Get ready to let loose and interact with the music in this impressive 5 reel slot game with 20 pay lines on wizard. It's more convenient that you can play these slot games from Red Tiger gaming, who has provided online-slot machines to the market since 2014 and provide high-quality gaming to players in both Europe and Asia. They are well known for their iconic branding which encompasses the strong head of a red tiger! Look out for their games across a range of online gaming platforms and casinos. What makes their content so appealing is the fact that they specialise in developing high-quality slot games to play online – aiming to create iconic and creative themes for their players. Your pay lines are set here but you can choose your bets on anything from 0.20 to 500.00 per spin which makes this game exciting to many demographics of players. Put on your game face and play the best online slots now! You will find some rather generic symbols in form of 10, J, Q, K and A. Some of the higher valued symbols come in the form of a blaring microphone and an 888 symbol. You will only find your stake adjuster, an autoplay feature, paytable and the spin button to the lower or your reels. Messages will be shown to the top of the stage on how you can win and special features you may come across whilst playing. There are a whopping 4 wild symbols which come as performers, three men and one woman. 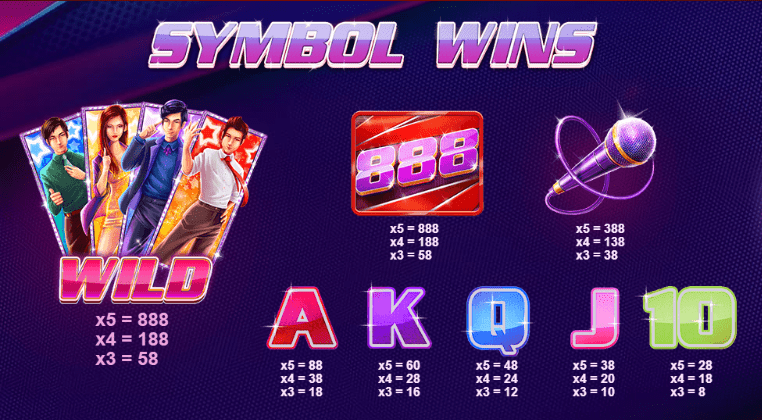 These will replace other symbols on the reels and increase chances of winning, so they are surely worth looking out for! The stacked wilds will further increase the chances of winning! Finally, the nudge feature is quite unique and allows you to move the reels around on a hunt for big wins! The theme goes further and twinkling spotlights will illuminate your winnings, which is another unique feature. 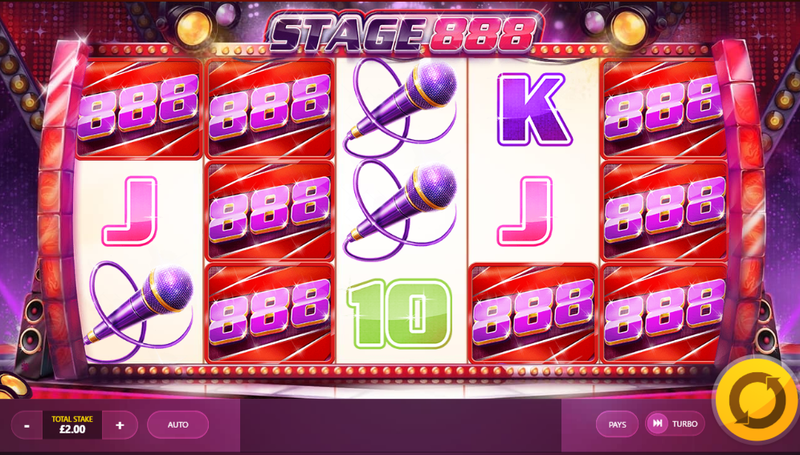 This slot game really does tick all of the boxes and is the perfect example of how a theme can be used to create an opportunity to showcase bonus rounds and elements. The instant wins will make you want to keep on playing and with so many features on offer, you won't be disappointed! Just like you won't be disappointed by Tiki Fruits.